Articles and books about EMP risks often contain inaccurate or misleading information because empirical data isn’t readily available. We really don’t know how bad a massive EMP strike will be because testing has been restricted for years. Proposals have been presented for protecting the infrastructure, technology, and our people from EMP, but little progress has been made—at least publically. The damage from a massive EMP strike from a solar super storm with corona mass ejections (CME), or a powerful EMP from a high altitude explosion can be great. The severity of damage depends on advance warning and proper preparation. Here’s what could happen. 1. The national power grid shuts down. If an EMP strike occurs without warning, the grid could go down. With hours to prepare, much of the grid could be preserved. 2. Emergency radio announcements begin. Situation reports and the location of shelters, hospitals, and places for water and food pickup will be broadcast (and re-broadcast by ham operators). 3. Electric and electronic devices severely damaged. This is possible, but shielding and disconnecting (unplugging) can minimize or avoid damage. 4. Lights go out everywhere. Much of the area in the strike zone will be affected. But scattered lights will quickly appear from candles, flashlights, and emergency batteries. Street lights and outdoor signs will be off. Implanted pacemakers could fail, so avoid high voltage areas. 6. Home medical support equipment turn off. 7. Motors spin down and stop. 8. Cell phones turn off. Not necessarily, but working cell phone assets could be commandeered for use by first responders to the incident. You could see phone power on, but you may not be able to call. 9. Phone land lines go silent. 10. Car and truck engines stop. Many will keep running, especially those with diesel engines. And stick-shift vehicles that did shut down may be push started. Older jump-start motorcycles should operate. 11. Planes fall out of the sky. Not likely. The airline industry has had years to install protections for the electronics inside these craft, and recent videos show passenger jets receiving and shunting lighting bolts around the skin and down to earth without damage to the aircraft or the people on board. 12. Subways, busses, airports, and train stations shut down. This is likely until order is restored. 13. Businesses, schools, and stores close. This is likely until some functions become available again. Medical facilities should remain open as long as backup electrical power is available. Likely but not from vehicles that lost power. Most traffic jams will be from millions of people attempting to “bug out” at the same time. Quite likely as unprepared people race to stores to buy food and water, literally fighting for the last bottle of liquid or loaf of bread. Chaos would soon develop and police could be overwhelmed by mobs breaking windows and doors, fighting each other for anything available. They would empty local stores of bottled water, food, flashlights, and batteries. 16. Medical supplies run short. Production of medicines and medical supplies may not be possible. Expect shortages and outages, especially for insulin. Without anti-depressant pills, some people will become psychotic. Mental patients could become disoriented and agitated. 17. The handheld generation suffers. Those who spend significant time texting or playing games on handheld devices are distracted until the batteries run down. Then they become anxious and depressed. And with no TV, little water, food, and no real way for government to tell them how and when to act, some become belligerent. Law enforcement groups and the military will likely combine forces to maintain order. When power goes out, people will expect it restored quickly. When it isn’t, many will get frustrated and angry. Without functional security and alarm systems, some people could decide to take advantage of the emergency and steal what they can. Unruly, demanding, and disrespectful people will riot—looting, stealing, vandalism and burglary will increase. Crime will not be tolerated and a number of arrests and some deaths will occur as arrogant and belligerent people willfully ignore lawful orders and challenge or attack the police. Those attempting to harm the police will be shot. Law enforcement will arrest and remove any and all criminals so law-abiding citizens can deal with EMP damages in safety. 20. Shelters and rescue centers overwhelmed. Some of the shelters will be overwhelmed by the number of people seeking help and demanding food, water, and lodging. Evacuees could get agitated and angry without “government” taking care of them. The politicians who had promised them a free ride are nowhere to be seen. They assured everyone the problem was under control and people would be safe and secure at a shelter. The people and the volunteers running the shelters will be on their own until law enforcement and additional food, water, and medicine arrive. People with poor sanitary habits could bring sickness and infectious diseases into the shelters. Risk of pandemic will be high. Without power people couldn’t use elevators in high rise buildings. Some who used the stairs and weren’t accustomed to physical stress would have heart attacks and die. Hospitals will worry that fuel for their backup generators may run out. Some hospitals will lose backup power and request emergency patient evacuation. For some, relocation will be too late, and some patients will die. 23. Emergency electrical generators fail. Generators may fail after a few hours if service personnel “fudged” maintenance numbers and didn’t actually perform checks as required. Generators at some companies and homes could fail if scheduled periodic tests were skipped. Utility crews will work to repair damage and restore power, but replacement parts and transportation may hard to find. Change-out could be slow. Given the level of apathy in this country, few will have prepared, and over half the population could die. 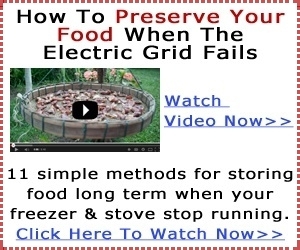 Almost a million people will immediately implement survival plans to operate off the grid making their own electricity, heating, cooling, and using stockpiled food, water, medicine, and normal household items. Food and water rationing will start immediately, but homeowners who stockpiled and go off-grid will be left alone to use their own food and water. None would be confiscated. They would not qualify for rationed food and water unless their homes were inspected and certified out of food and water. Those who prepared should easily survive an EMP disaster. The pioneer spirit still exists in this country, and many people will reach out to help friends and neighbors, especially with power sharing. Many communities have already planned for massive outages and within hours after the EMP strike, they will start restoring power and repairing damage. Survivors will hold politicians and bureaucrats accountable for poor preparation or infrastructure failures. The country will begin to recover as a new era of law and order emerges. Deaths will be mourned. In retrospect, many will consider this event the catalyst for a needed national cleansing.